In this new age of multiple access to insurance products it is important to have a unique selling proposition to stand apart from the competition. If one is going to do business like everyone else, the prospect of success is grim. Why should people buy insurance from me? I came up with a list which I believe distinguishes me from a 1,800 customer rep or someone hiding behind an Internet website. 1. I have a graduate degree in Business (MBA) and an advanced degree in insurance (CPCU). 2. I take the time to educate and advise on insurance matters. 3. We don’t just sell insurance products. We design a needs based insurance program. 4. I help solve problems with claims and other insurance issues. 5. I position myself as a colleague with my clients and help with matters other than insurance. 6. My Firm participates in the community and donates funds for worthy causes. 7. We have a cadre of affiliates in law, accounting, real estate, and mortgage services available for our clients. It is important to be “a cut above” the competition for both the welfare of those we serve as well as our own success. If one fails to do this, one will fall into that dreaded abyss of mediocrity. What is the importance of the name on an insurance policy? It turns out there is plenty of importance because the coverage is going to respond to the person or entity listed as the named insured and any others that are included by definition in the contract – and nobody else. For instance, I find that many homeowner policies list just the husband as the named insured. Yes, the spouse and any relatives are included as insureds – but only if they live in the residence premises. What happens if there is a separation and the wife moves out? If she is not listed specifically on the policy, she has no coverage because she is no longer a resident. I am also finding that LLCs are becoming popular as an ownership mechanism for property – presumably to hide the identity of the owner from others who are not exactly friends. Some think that the LLC will provide a shield from liability. Not so fast on that one. 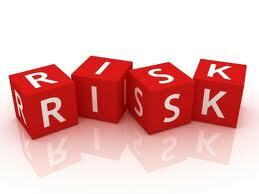 There may be protection from creditors but not necessarily for a bodily injury incident. Many landlords think that by being added as an “additional insured” on their tenant’s policy, there is no need to carry insurance for themselves. The additional insured status will provide protection if the landlord is brought in on a suit that is due to the negligence of the tenant. However, if the claim is a result of something the landlord did or didn’t do, there is no coverage and therefore a separate policy for the owner/landlord is necessary. Then there is the unfortunate situation of the life insurance policy where the beneficiary was selected years ago – and not amended. So the proceeds of the policy go to the ex-wife or the long gone partner instead of the intended person or organization. Dale Carnegie said in “How to Win Friends and Influence People” that a person’s name is to that person the sweetest and most important sound in any language. In the insurance world the accuracy of a name is equally as sweet and important. Most people think of insurance as a mechanism to insure things such as a house, car, jewelry, boats and other tangible items. Now that the Internet is entrenched in the way we do business there is a new exposure that is just as real-cyber crime. There have been more and more instances where a hacker has been able to infiltrate not only personal databases but commercial ones as well where information is not only stolen but also utilized to cause further financial damage to the victim. The most frightening scenario is where the hacker thief accesses the banking information of the unsuspecting person or business and arranges a money transfer to an unknown account. The bank will honor the instructions since it appears to come from the depositor. The bank may not take responsibility for the fraudulent transaction since it came from your Internet site and therefore it is not considered a bank error. Fortunately there are insurance policies that will reimburse for a fraudulent money transfer as well as protect for other first party losses such as a virus which may wipe out an entire database. In addition, insurance is available for third party cyber liability where a business may inadvertently disclose confidential client information such as social security numbers or credit card data or introduce a virus to another entity. There are many scenarios of potential cyber crime. It is important for an individual or business to assess their exposure and utilize risk management techniques and/or insurance for protection. The recent hurricane “Sandy” caused unprecedented damage here on the Ct. coast as well as in New York and New Jersey. Actually the storm was not declared a hurricane by the Ct. Insurance commissioner which is fortunate since many homeowner policies have a special “hurricane deductible” which is between 2 and 5 percent of the dwelling amount. 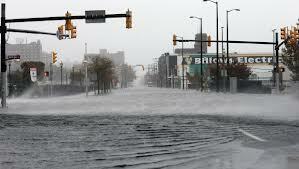 Many of the claims, however, are solely flood losses and the only coverage available is FEMAs flood contract.The homeowner contract excludes flood which is defined as surface water which permeates two or more acreas of normally dry land or two or more properties which are contiguous.The homeowner policy provides coverage for some water issues but not the inundation of surface water. There are some private companies that offer flood but they usually require that the government contract respond first-up to the maximum limit provided which is 250000 for a residence. Many victims of the storm never anticipated that the surge would affect their dwellings and thus did not have flood coverage. If they had a mortgage , the bank would have required flood coverage, but it is not mandatory if a home is unencumbered financially. 1. Take photos and document damaged property. 2. Do what is necessary to protect undamaged property. 3. Separate damaged property from undamaged items. 4. Reconstruction should be delayed until an adjuster visits the site and provides an preliminary estimate.However, emergency construction to prevent further damge should be done immediately. The flood policy doesn’t have a lot of “bells and whistles” but it is the only game in town and wasn’t even available until the mid twentieth century.